I was so excited to write this post more than any other post I've done in a while. 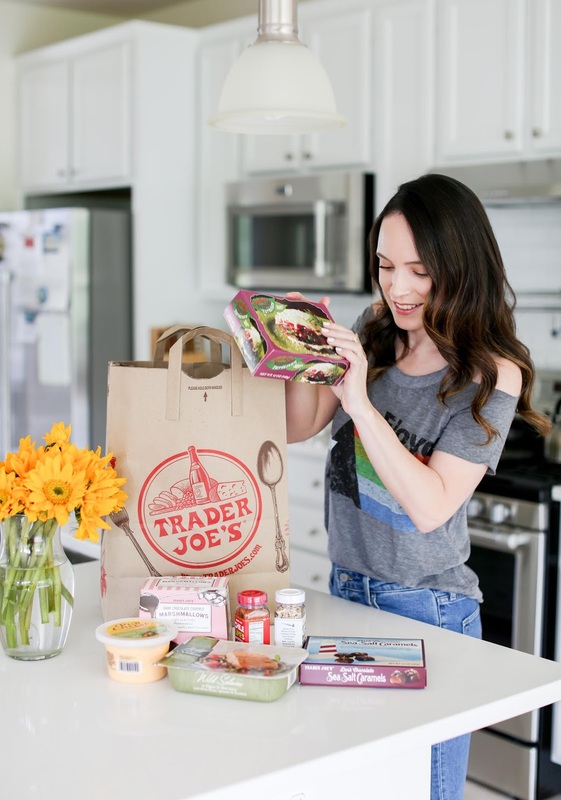 Fun fact about Stan and myself, we LOVE Trader Joe's. We used to go to the one in Union Square, NYC every Saturday to stock up for the week. I can only remember a handful of times that we actually skipped this ritual and if we did, we would complain to each other all week long about how much we missed the things we were out of. LOL However, Trader Joe's is a 30 minute drive from our new home so we can't get down there as frequently as we would like. But when we do, we always stock up on our must haves. This past trip wasn't the biggest haul, but I got tons of my favorites. And every time I go, I find something new to try or bring home. It's like a treasure hunt each trip. Ha! Below is a look at each of the items I bought during our shopping trip and a quick blurb about each one. 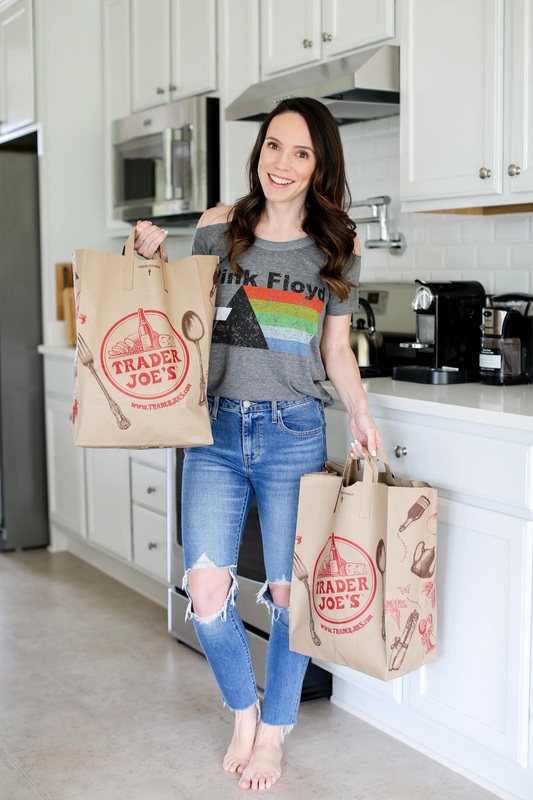 Please be sure to leave me your favorite Trader Joe's items in the comments so I can try them on our next visit. Trader Joe's Chicken Noodle Soup with Veggies - I bought 4 of these actually because it is one of my favorite comfort foods. Everything But the Bagel Sesame Seasoning Blend - I first bought this on Amazon after seeing so many people rave about it and will never be without it again. It's basically the mix you get on the top of an everything bagel. YUM! Chile Lime Seasoning Blend - This was another seasoning I have seen tons of buzz about and love this as well. It's spicy which I like but the lime addition makes it so delicious. Mini Brie Bites - Stan and I eat this small single servings of brie cheese as snacks or with crackers before dinner. Roasted Gorgonzola Flavored Crackers - Mind. Blowing. Crispy crackers with tons of gorgonzola cheese baked in. These are very dangerous for me. Dark Chocolate Sea Salt Caramels - The name says it all. These will change your life forever. Good luck eating just one. Eek! Cooked Large Shrimp - I've been on a shrimp kick lately especially now that it's almost summer. Stan normally puts them on skewers and grills them to go with whatever side we are having. Colorful Carrot Coins - I have never tried these before but they looked promising. I am not typically a cooked carrot lover so I am hoping I like them. Shrimp Stir-Fry - I love this because it's an all-in-one meal. I just dump the bag in the frying pan with a bit of olive oil and dinner is served in 15 minutes! 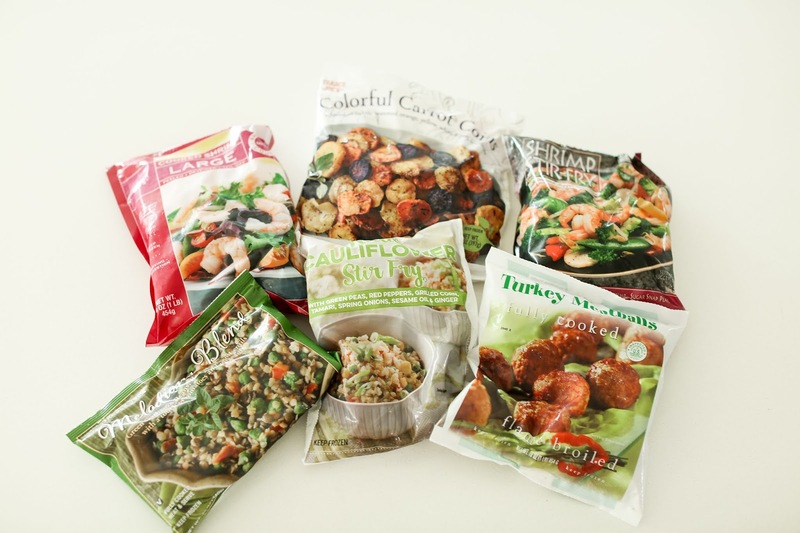 Melodious Blend - I prefer more vegetable based sides rather than any traditional starch (pasta, rice, potato, etc) for dinner, and this is a vegetable blend with lentils. I have had it before and it's delicious. Cauliflower Stir Fry - This is like a cauliflower fried rice and I can't get enough. I bought 4 bags of this and love it with shrimp especially. Turkey Meatballs - These meatballs are probably the one frozen food I buy the most from Trader Joes. I add them to any and every meal that I need a bit of protein. If I'm having lentil soup for lunch, I throw in a turkey meatball. If my breakfast doesn't have enough protein, I heat up 1-2. They are perfect in a pinch and less fat than regular meatballs. Sparkling Spring Water - There are so many flavors of this and as a soda lover, this is a nice healthier option. Wild Salmon and Orzo - I buy 2-3 of these for dinner. I love salmon and only eat about half of the orzo (leaving the other half for Stan). Dark Chocolate Covered Marshmallows - I would shop at Trader Joe's just for their dessert options. They are THAT good. These are delicious and only about 40 calories each. Falafel mix - I grabbed this at the last minute because Stan loves falafels. We have never tried it before but it looked promising. Eggplant Parmesan - This is a dish that I would add a turkey meatball or two to give me extra protein. I am a huge eggplant parmesan fan, but this isn't as heavily breaded as ones I get at a pizza shop. One dinner lasts me two evenings because it's a bit too heavy for me to eat all in one sitting. Kombucha - I drink 1 kombucha every day and the pricing is always better at Trader Joe's. So that's it! 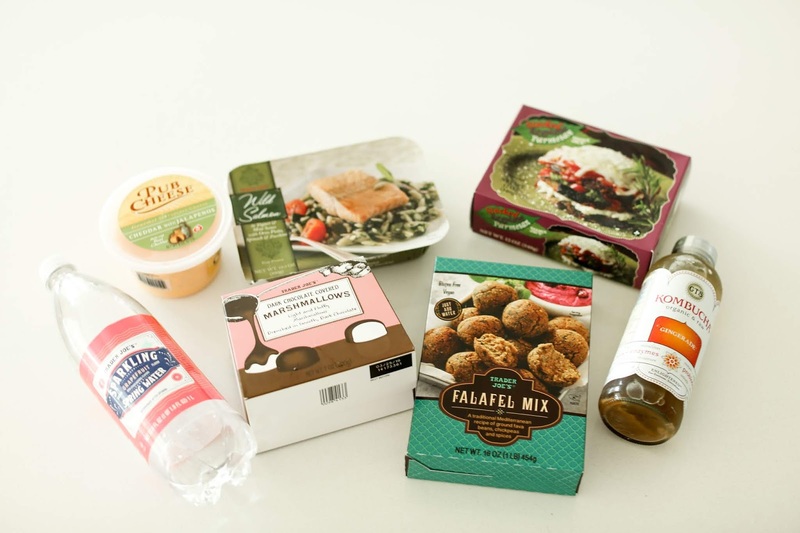 My recent Trader Joe's haul along with a little explanation behind each product. 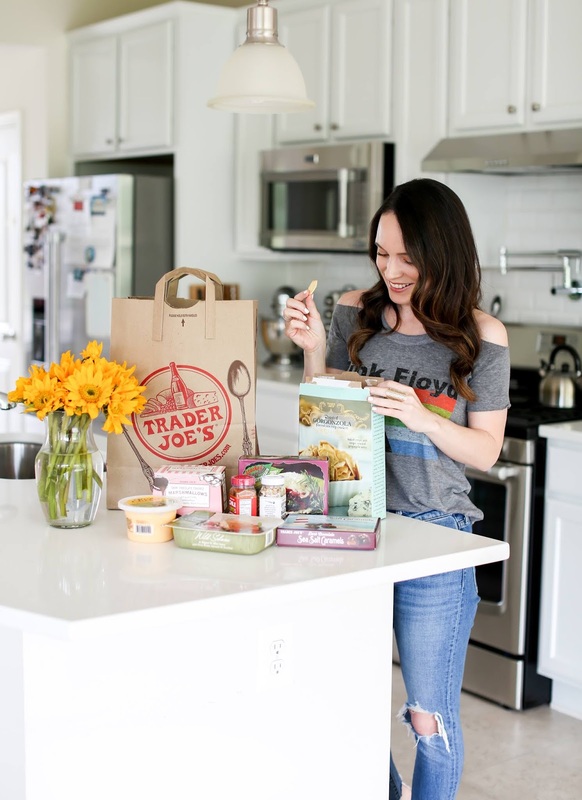 I'll admit that the first time I shopped at Trader Joe's I was very overwhelmed and didn't understand why everyone loved it so much. Then I ate all the things I bought and immediately got it (I was also way under my grocery budget too!). It took me 5-10 regular trips and slowly going through the aisles to find my favorites, but now I can navigate the whole store like a champ. LOL However, I almost always find something new to try which is what I love so much about TJ's. Please, please, please send me your recommendations since a few of these things in my haul came from seeing other people rave about them. Hope you enjoyed this post and found some new things to try on your next shopping trip! Hopefully Stan will make it this coming week and I will let everyone know how it is! Falafel mix is not that great. I love TJs pretzel bagels, also their granola cereals are pretty good, and their burritos. 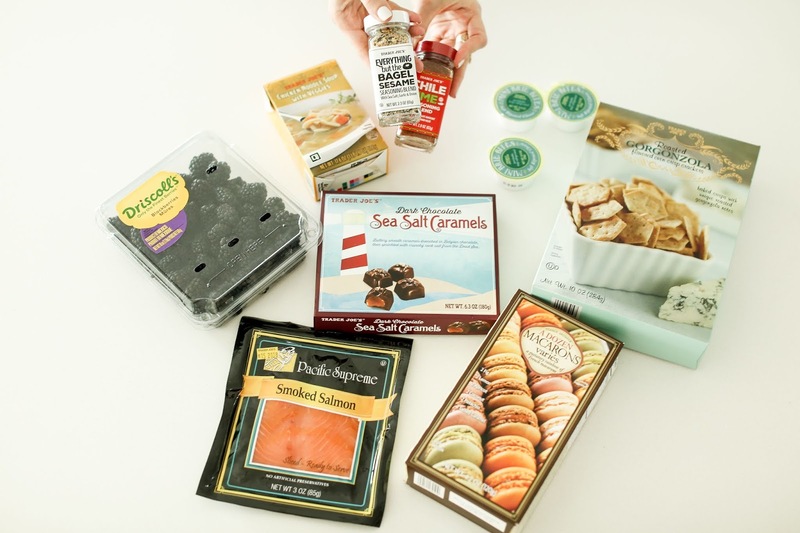 Ooo I need to try those Mini Brie Bites! I buy a similar product from our local store - would love to try the TJ version! OMG I love that you left me a huge list! This is amazing - will definitely reference this on my next trip. :) Thank you! The Everything but the Bagle seasoning has been recommended to me 3 times and now 4. I believe that means I purchase it lol. The other seasoning is now on the list! Ok, truth be told the whole shebang is on my list. Thanks girl!